Robert Swinton's lifelong musical journey started in the suburbs of Minneapolis at the young age of nine. 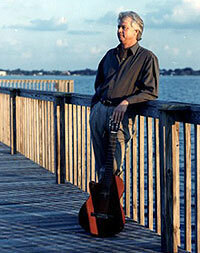 Here he began seven years of classical guitar training and study under Phillip Velasco. Showing a natural affinity for the guitar, Robert took first place in a statewide talent contest when he was just ten years old. Broadening his repertoire, Robert added folk music to his classical training, expanded his performance schedule, and began giving guitar instruction in the same music store where he had taken his first lesson. 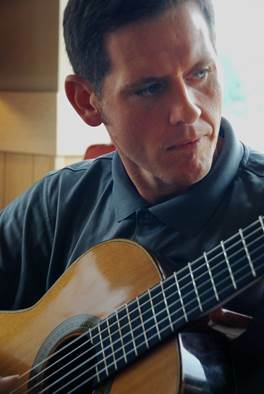 In his early twenties, Robert went to Washington State where he taught folk, country and classical guitar, also performing at Seattle's Market Place Square and various other venues. Robert later moved to the San Francisco Bay area where he studied jazz guitar and music theory. While in San Francisco, he formed his own band 'Loose Change'. This group soon became one of the hottest Southern Country Rock bands in the Bay area. After twelve years in California, Robert came east to Florida's Treasure Coast. It was here that Robert was motivated to share the music he has loved through the years. The result is 'The Soothing Sounds of the Classical Guitar', a collection of personal favorites that Robert has performed live for many audiences. Rowdy Carlton was born in Dover, Ohio in 1974. His youth was spent in New Philadelphia, Ohio and outside Lancaster, Ohio. At 15 years old he moved to Hobe Sound, Florida, and now resides in Stuart, Florida. He began playing guitar at the young age of 7, and can't remember a time when music was not part of his life. He began teaching music around 14, and became more interested in teaching others music when he realized his niche was in classical guitar. And now he has joined forces with Robert Swinton on Music Ala Carte to add classical guitar to the courses offered on this video teaching guitar site. Rowdy has studied under Constantinos Jafers. He spent many hours reading on technics used in playing classical guitar. He has extensive experience in playing in bands. His brother is a drummer, and his sister is a bass player. Currently beside working in his own business he plays guitar in an Irish band named "Rowdy Micks Celtic Band", and is the president of the Treasure Coast Classical Guitar Society. He is the Artistic Director for Bach's Children Music School and chooses to teach at Bach's Children Music School because he admires Ms. Peggie O'Neill's character and the quality of teaching she provides there. While teaching students Rowdy's goal is to open up the nuances of music to them and give them the tools to control these nuances. Upon meeting Mr. Carlton you can easily see his passion for music, and yet he strives to bring fun into playing while enjoying his passion.